We intended to create a car that makes no compromises between fuel economy and performance, SKYACTIV Technology makes that vision come true. Our cars are efficient, powerful and feature the world´s best compression ratios in a mass production model, outstanding fuel economy and low emissions with no compromise on performance. New transmissions and a lightweight construction also mean that our Mazda models are as responsive as a sports car but with the comfort of a high-class saloon car. All thanks to Mazda's ground-breaking SKYACTIV Technology. Start the video and discover a new approach of car development. The perfect companion to i-ELOOP is i-Stop. Conventional idling stop systems re-start a vehicle's engine with an electric motor exactly the same way the engine is usually started. 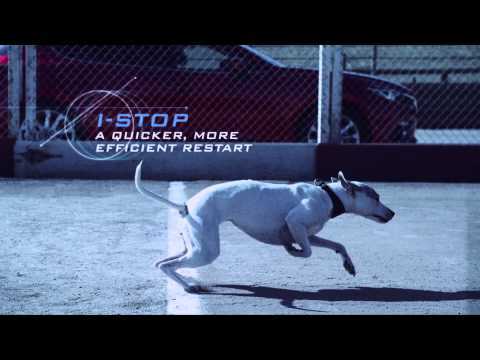 At Mazda we do things differently by using direct fuel injection techniques and optimized piston positioning, Mazda's unique ''i-Stop'' allows drivers to re-start almost instantly while leading to a significant improvement in fuel economy.